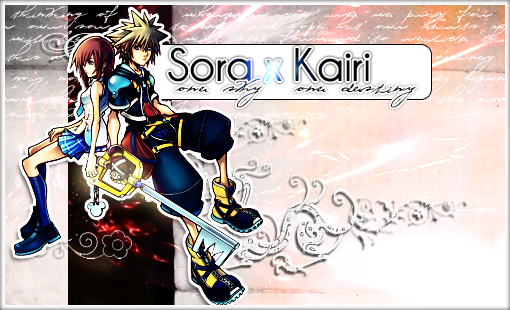 What About Sora Do You Like The Most? Personally, I'm fond of his laziness but still maintaining an incredible sense of justice. Re: What About Sora Do You Like The Most? I love his stupidity. There's just something cute about it. I also love his die-hard loyalty. I like his optimism and innocence, and how even when it seems like he's lost everything, he always manages to bounce back (with a little help from his friends) and regain that positive, cheerful personality! He's the personification of every quality we think of when we think of Disney: happy, energetic, a dreamer, an adventurer, someone who never gives up, etc. I like that he's the perfect Eastern hero. He's not out to redeem himself, he's selfless, and he can't help but make friends. Those, and the fact he throttles Sephiroth around with a big key! Xernuht wrote: I like that he's the perfect Eastern hero. He's not out to redeem himself, he's selfless, and he can't help but make friends.